There's a new kids robotics system on Kickstarter: Robo Wunderkind allows kids to build modular robots from brightly coloured cubes. 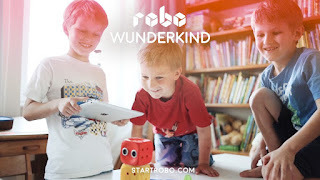 Robo Wunderkind is designed for children from age 5 and up. The Kickstarter project offers a range of price points and rewards for backers from a Starter Kit through to a Professional Kit which is packed with tech. Kids learn through play and Robo Wunderkind is intended to make sure that what kids are learning makes sense for the Tech Age. 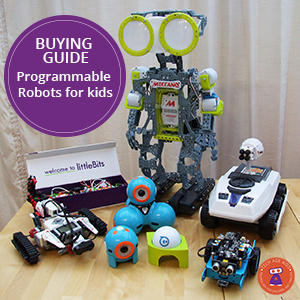 Kids build robots from cubes that provide features such as motors, sensors and displays. Then there's a double system cube which acts as the brain and controller for the system, it also has a microphone and, always important for kids, a speaker. 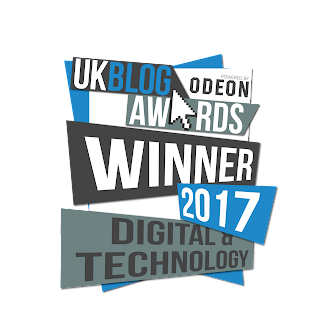 Younger children will have a drag and drop app for programming their robots and older children can move on to Scratch. Scratch support is really important. 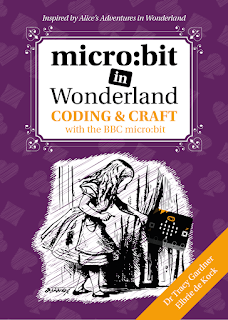 Lots of kids learn Scratch at school and in code clubs. It makes sense to take the robot programming to them rather than offering a similar-but-different interface as many robot systems do. There's no mention yet of which version of Scratch, but we're hoping the online version of Scratch 2.0 will be supported. There's one thing I can guarantee that my kids will do if you give them a robot: turn it into a vehicle, base or accessory for their LEGO figures. Robo Wunderkind get this and they have provided LEGO compatible adaptors so minifigures and bricks can be attached. Parents will appreciate the rechargeable battery, in a battery cube, of course! There will also be an API so that others can write apps for the Robo Wunderkind. There's some clever tech inside too: power and information transmission between blocks is wireless. This isn't the first modular robotics system, or even the first based on cubes with LEGO compatibility. The programming options, modern tech and child-friendly look of Robo Wunderkind make it very appealing. Robo Wunderkind looks like a lot of fun. We love the fab colours (No pastel pink or blue here!) We love that Robo Wunderkind is going where the kids are with the programming: tablet and Scratch, and with the LEGO compatibility. 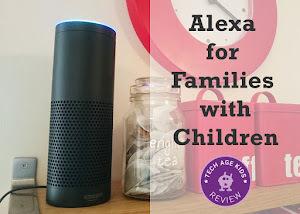 It's great to see another tech toy that prepares kids for the world they're living in.